Scorpions cat back features a large bore of 3 inch pipework. Ideal for cars running Stage 3 power or more. Crafted from stainless steel the Scorpion system saves weight and will not rot like the standard unit. The silencing ensures that the car will not drone at motorway speeds but will still be loud enough to be heard when you have your foot down. The system is finished nicely with twin Polished daytona tips retaining the OEM look while looking and sounding more aggressive. Great system perfect for any Fiesta ST owner. The Pumaspeed Workshop team are ready to fit the Scorpion Fiesta ST180 3 Inch Cat Back Exhaust (Non Resonated) in our Head Office located here. Therefore making parts and labour a total cost £541.00 (inc. VAT). 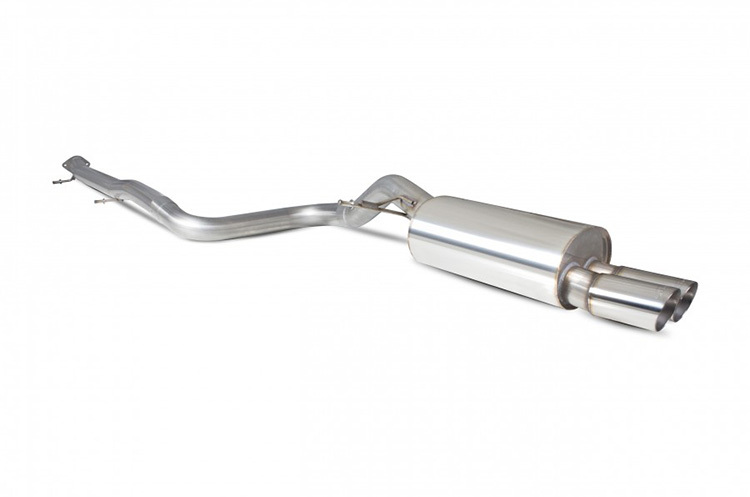 Pumaspeed have a specialist distribution team that can dispatch the Scorpion Fiesta ST180 3 Inch Cat Back Exhaust (Non Resonated) to any destination worldwide.